Love Star Wars? So do we! And what better day than the Fourth of May to launch our latest collection of fun finds to our Babyology readers? This spectacular Star Wars inspired round-up is sure to awaken the Force within your home. In a kid’s room far far away these adorable Darth Vader cushions reigned supreme. 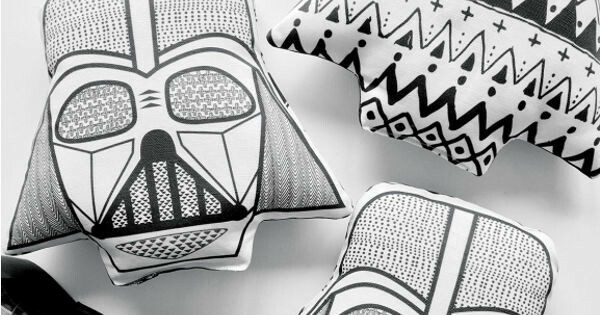 The Empire strikes back and rebels against your couch with these delightful monochrome cotton cushions from Hard To Find. You can restore balance to your child’s bedroom from $39 (plus free shipping). 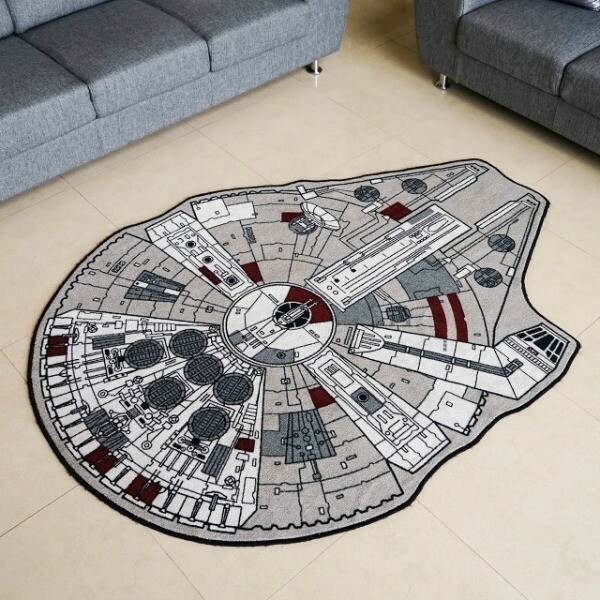 How awesome would the Millennium Falcon printed rug look in your kid’s playroom, especially paired with the above pillows? The iconic space ship just got smaller, steamrolled flat and turned into a mat. Made from 100 per cent polyester pile, the rug measures approximately 150cm x 200cm and retails for US$79 from ThinkGeek. 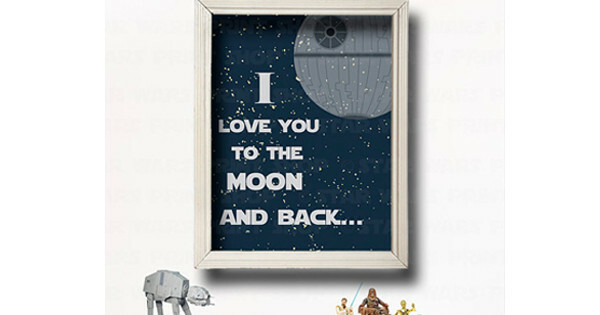 Next on the list is this delightful Star Wars themed nursery wall art poster from Lily Leila Rose. 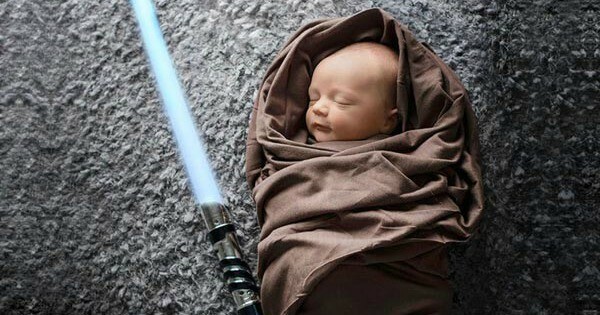 Show your little Jedi just how much they’re loved and set their imaginations free every night, from $16. 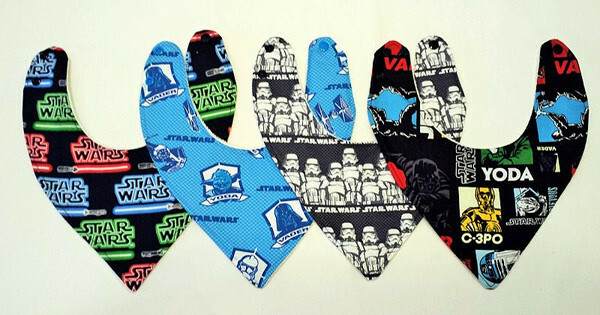 These Star Wars dribble bibs are perfect for the littlest Jedi masters in the house. Use the force – and the power of organic bamboo – to keep dribbly babies dry with a set of four bandana style Star Wars bibs, $23 from Mattyn Me. 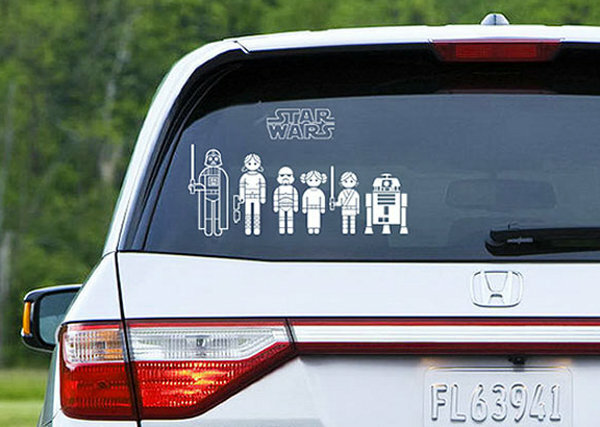 Bring the galaxy to you wherever you go, with these Star Wars family car decals. A pack of fifty Star Wars stickers, featuring nineteen different characters is US$15 from ThinkGeek, and delivery to Australia is available. How about for the little Storm Troopers in the house? 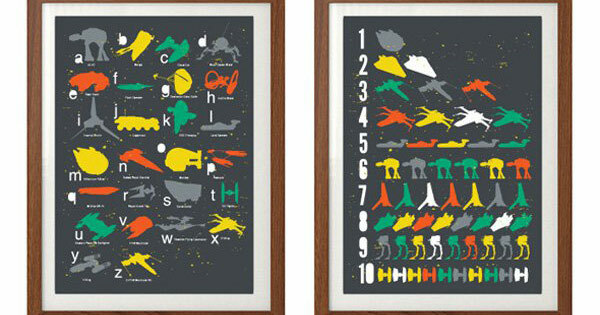 These Star Wars alphabet and numbers wall art from Sydney design studio Seal will have them speaking fluent Ewokese. An unframed set of alphabet and number posters costs $33 or you can buy posters individually for $19. If an alphabet poster full of Star Wars vehicles isn’t enough to have you swearing eternal loyalty to the Jedi, then perhaps these modern Scandinavian inspired Star Wars prints are more your style? Choose from three prints – Return Of The Jedi, The Empire Strikes Back and A New Hope, priced from US$19 at Handz Restyle Shop. 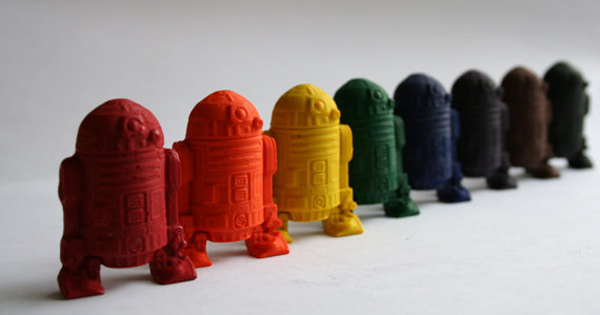 Fun R2-D2 crayons are just the thing to add a bit of Star Wars-inspired geek to your arts and crafts table. A set of eight colours are $5 from Extra Money For Mommy. 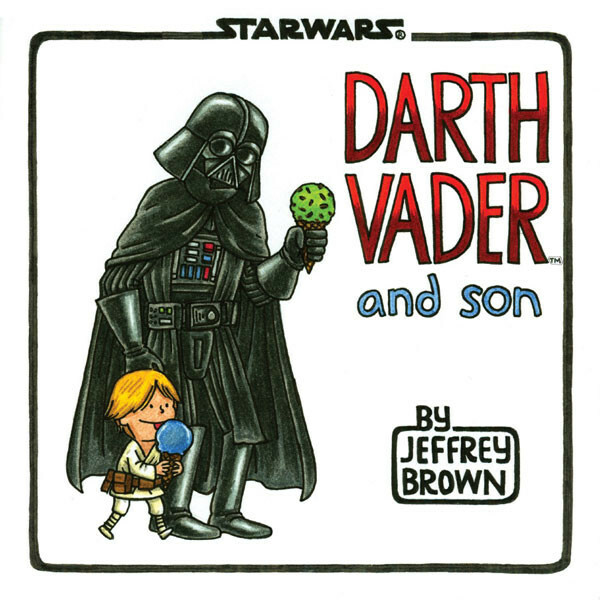 Bring a bit of bonding to bedtime with Darth Vader and Son by Jeffrey Brown? What would have happened if Darth Vader had decided not to conquer the universe and instead became a stay-at-home dad to son, Luke? With this charming and humourous book, you will know the answer! 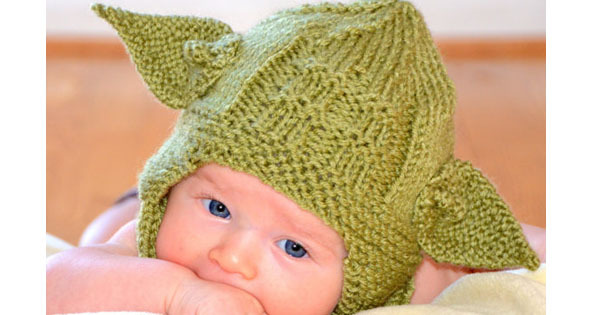 You can also pay homage to the iconic movies with this beautiful Baby Yoda beanie, $35 from Knit And Crochet 2009. 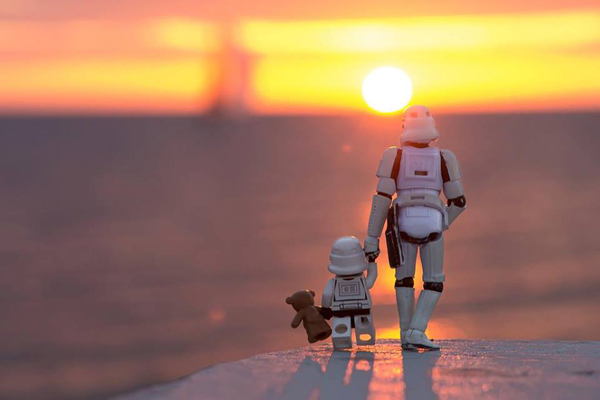 Check out how to stage your own Star Wars inspired photo shoot and join the dark side of adorableness. Looking for more Star Wars finds? We have plenty more of Star Wars goodies to explore, from Storm-Trooper-shaped sand castles to Yoda pancakes.